Wasp can be extremeley harmful if disturbed and will attack in great numbers if their wasp nest is disturbed. 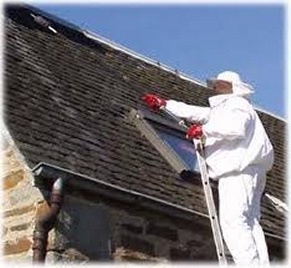 We specialise in wasp nest treatment, wasp nest removal, wasp extermination and wasp nest extermination in the West Midlands Area; so if you believe you have a wasp nest in or near your property in the West Midlands, let us take care of it for you and keep you safe. After emerging from hibernation during early summer, the young queens search for a suitable nesting site. Upon finding an area for their colony, the queen constructs a basic wood fiber nest roughly the size of a walnut into which she will begin to lay eggs. 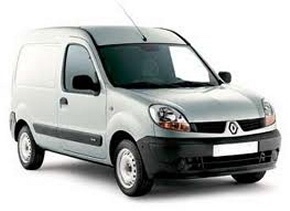 The sperm that was stored earlier and kept dormant over winter is now used to fertilize the eggs being laid. The storage of sperm inside the queen allows her to lay a considerable number of fertilized eggs without the need for repeated mating with a male wasp. For this reason a single queen is capable of building an entire colony by herself. The queen initially raises the first several sets of wasp eggs until enough sterile female workers exist to maintain the offspring without her assistance. All of the eggs produced at this time are sterile female workers who will begin to construct a more elaborate nest around their queen as they grow in number. By this time the nest size has expanded considerably and now numbers between several hundred and several thousand wasps. Towards the end of the summer, the queen begins to run out of stored sperm to fertilize more eggs. These eggs develop into fertile males and fertile female queens. The male drones then fly out of the nest and find a mate thus perpetuating the wasp reproductive cycle. In most species of social wasp the young queens mate in the vicinity of their home nest and do not travel like their male counterparts do. The young queens will then leave the colony to hibernate for the winter once the other worker wasps and founder queen have started to die off. After successfully mating with a young queen, the male drones die off as well. Wasp queens generally (but not always) create new nests each year, probably because the weak construction of most nests render them uninhabitable after the winter. 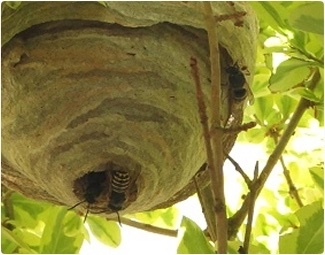 Wasps build their nests in a variety of places in the West Midlands, often choosing sunny spots. Nests are commonly located in holes underground, along riverbanks or small hillocks, attached to the side of walls, trees or plants, or underneath floors or eaves of houses. Wasp nests are most easily found on sunny days at dawn or dusk as the low light levels make it easier to spot the Wasps flying in and out of their nests. Wasps will attack and sting humans, particularly if threatened, so care should be taken around Wasps and their nests. 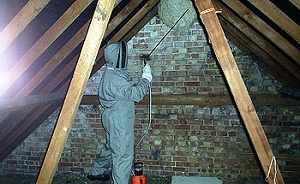 Wasp nests found in dangerous places in the West Midlands (such as in houses or in commonly used public spaces) should be reported to us for safe removal.